An assistant coach for the University of Michigan gymnastic team got himself arrested earlier this month after police rolled up on his car and saw that he was nailing an 18-year-old member of the Michigan team. 39-year-old Scott Vetere, former gymnast who was the 2000 BIG 10 gymnast of the year, was arraigned on a charge of committing an indecent or obscene act in public. 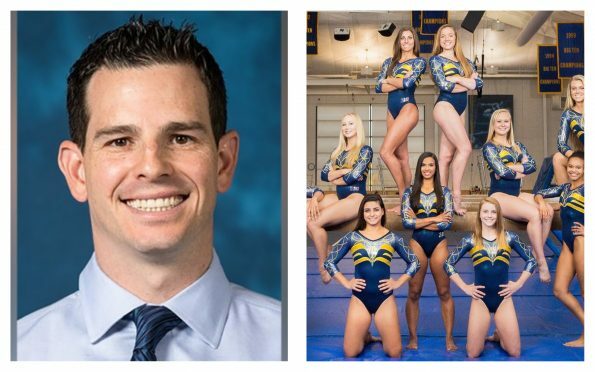 Officials stated Vetere and the unnamed gymnast were getting it on in the parking lot of an Ann Arbor apartment building on Oct. 8th, when they were spotted by cops and arrested for performing an indecent act in public. Coaches at Michigan are prohibited from having romantic relationships with student-athletes, according to the university’s athletic department policy. Resigning from his position was the least of his problems, because Scott is a married man with three daughters.